Desktop notifications are the settings for your desktop notifications such as when someone mentions your name on internet relay chat or the first time you run to configure your power management settings. The Basic Settings tab lets you change where Desktop notifications appear on your screen click the button that appears on the portion of your screen where you want them with the outline being your window. On the Advanced Settings tab lets you change duration of desktop notifications and their spacing. The Default duration is how long to show a notification for with a default of 10 seconds. The sizes Width field lets you choose how wide to make notifications. The Spacing field changes how far to place the notification from each other. 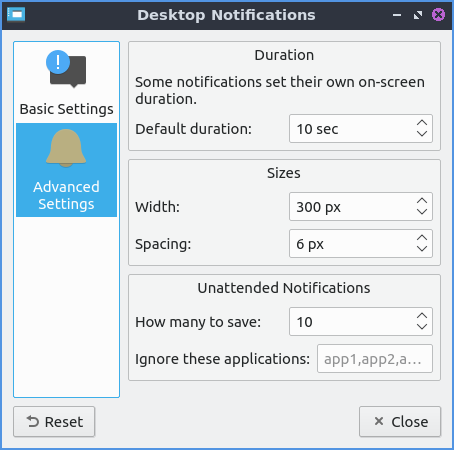 If you want to deal with notification when you are not directly at your computer have use the settings under Unattended Notifications. To change how many desktop notifications get saved change the How many to save field. To ignore particular applications type the application name in the Ignore these applications field. 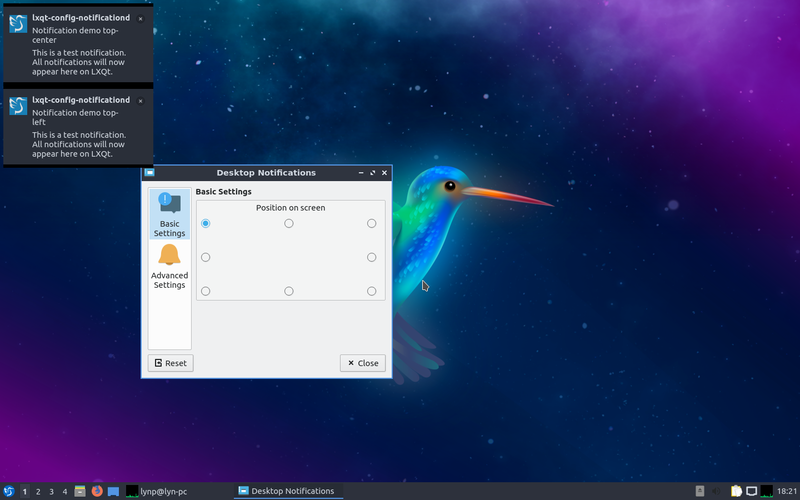 Lubuntu ships with version 0.14.1 of desktop notifications.